Storming of the Bastille On July 14, 1789, more than 800 Parisians gathered outside the Bastille, a medieval fortress used as a prison. They demanded weapons. 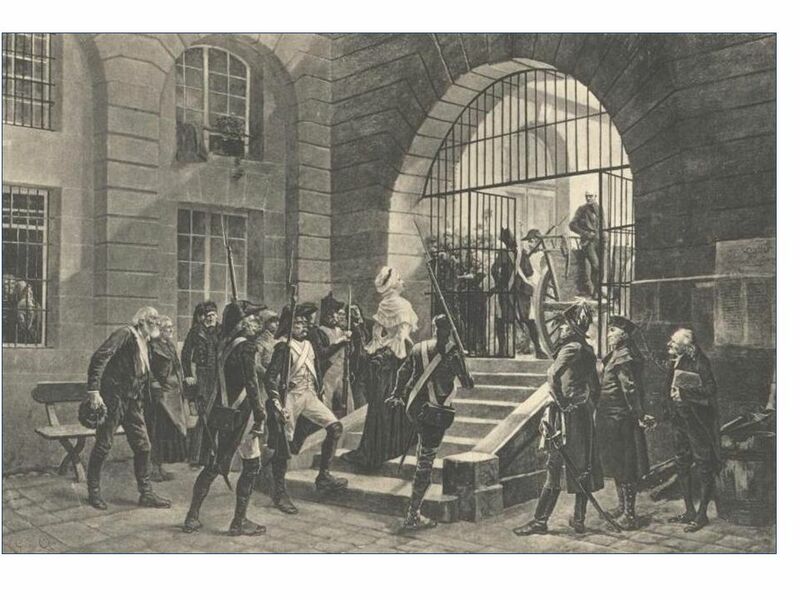 1 Storming of the Bastille On July 14, 1789, more than 800 Parisians gathered outside the Bastille, a medieval fortress used as a prison. They demanded weapons believed to be stored there in order to protect themselves from the royal troops surrounding Paris. The commander of the Bastille opened fire on the crowd, and a battle ensued, in which many people were killed. The storming of the Bastille became a symbol of the French Revolution. 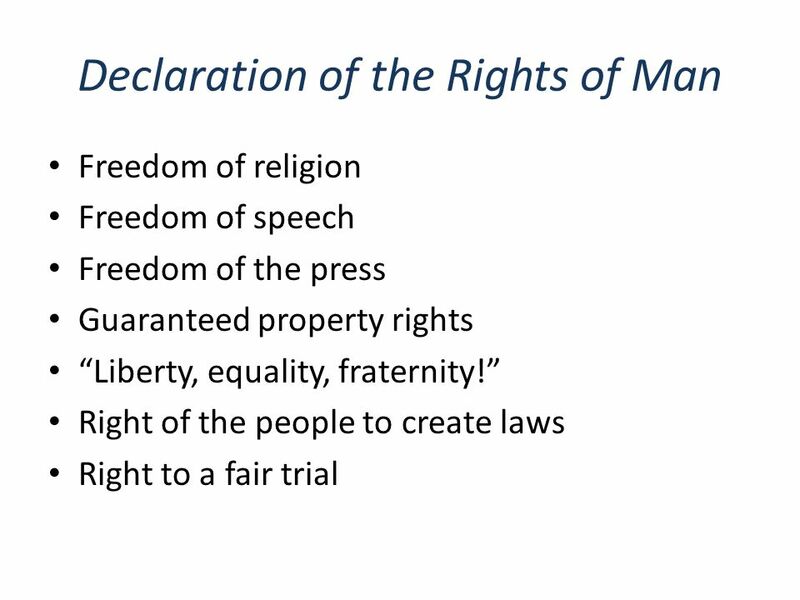 6 Declaration of the Rights of Woman Journalist Olympe de Gouges argued in her Declaration of the Rights of Woman that women are equal citizens and should benefit from governmental reforms just as men did. 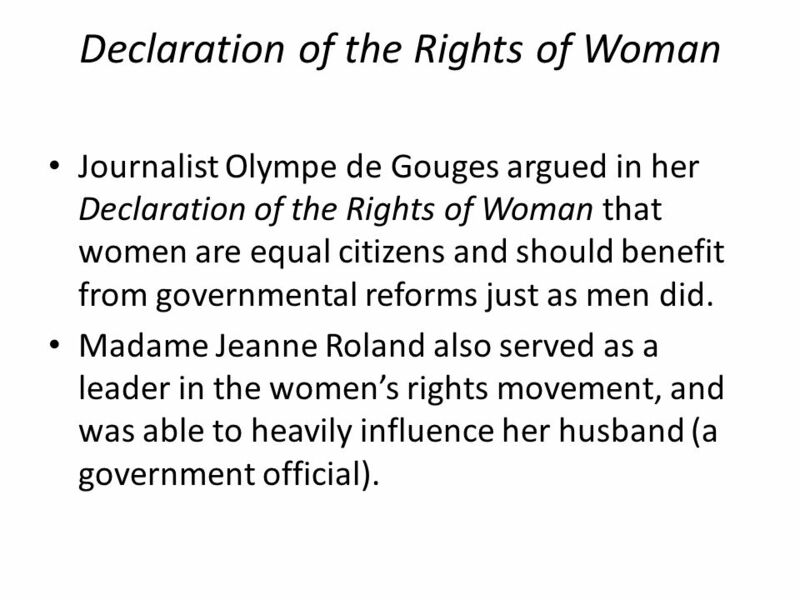 Madame Jeanne Roland also served as a leader in the women’s rights movement, and was able to heavily influence her husband (a government official). 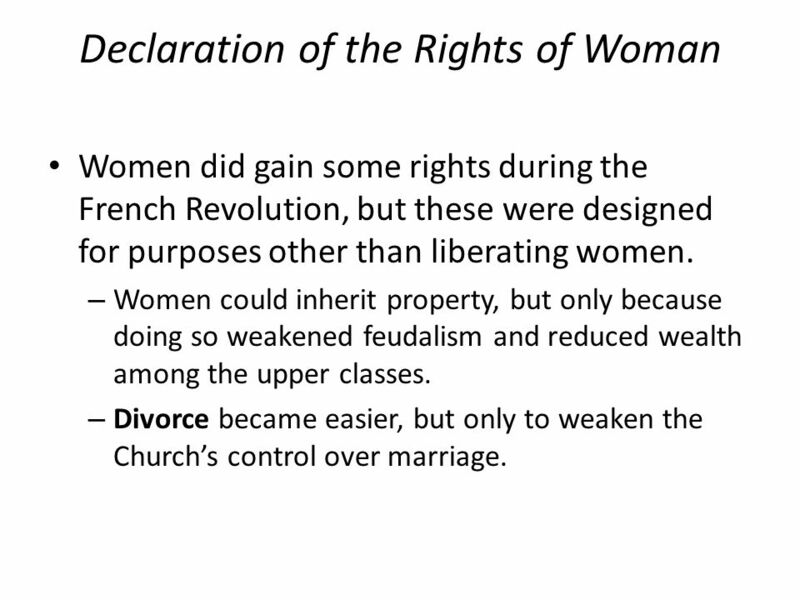 7 Declaration of the Rights of Woman Women did gain some rights during the French Revolution, but these were designed for purposes other than liberating women. – Women could inherit property, but only because doing so weakened feudalism and reduced wealth among the upper classes. – Divorce became easier, but only to weaken the Church’s control over marriage. 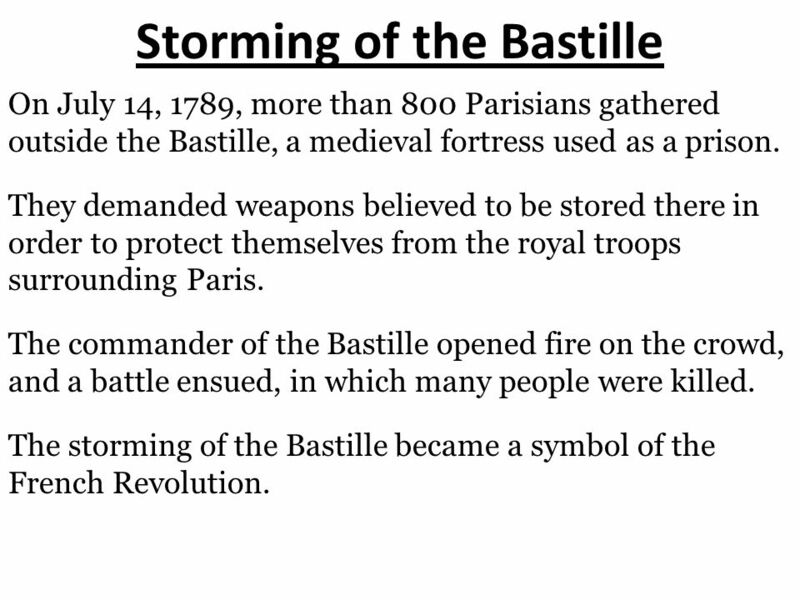 Download ppt "Storming of the Bastille On July 14, 1789, more than 800 Parisians gathered outside the Bastille, a medieval fortress used as a prison. They demanded weapons." 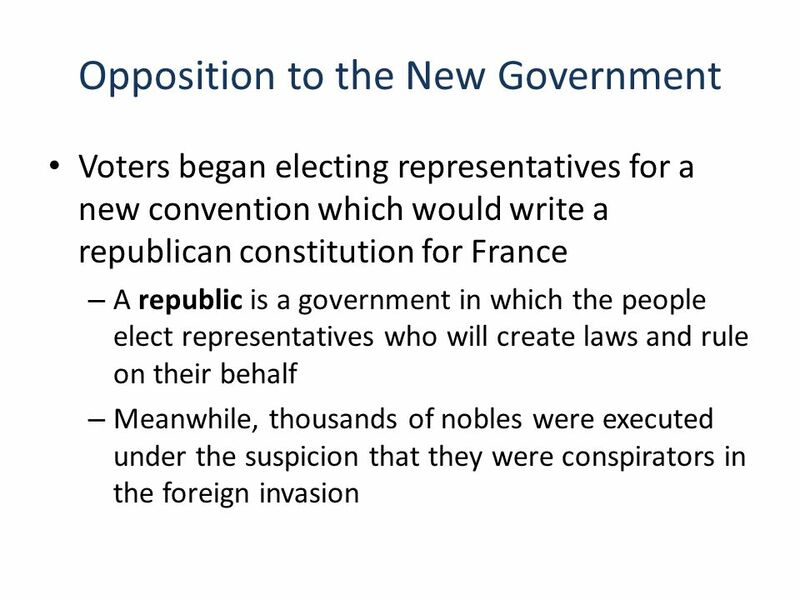 The French Revolution. 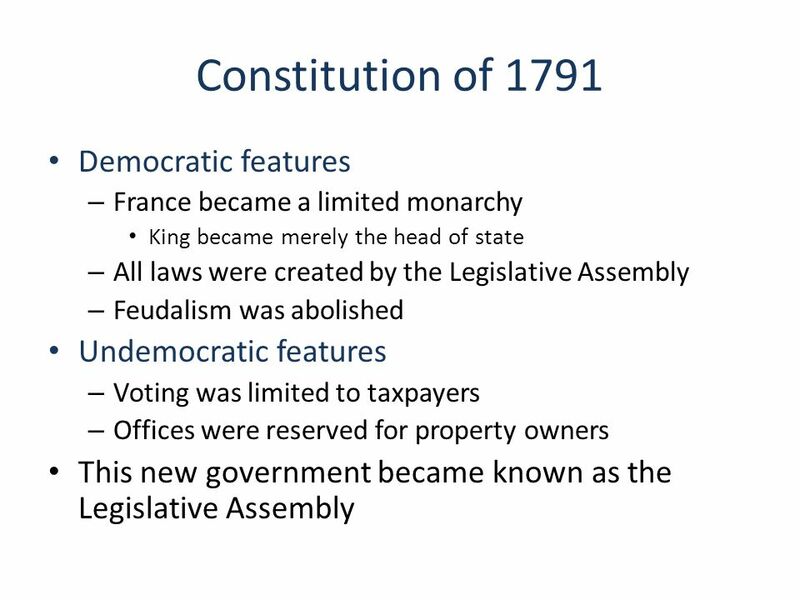 Causes of the French Revolution Causes Bad Crops/ High Prices Weak Leadership High Taxes Questions raised by Enlightenment Ideas. 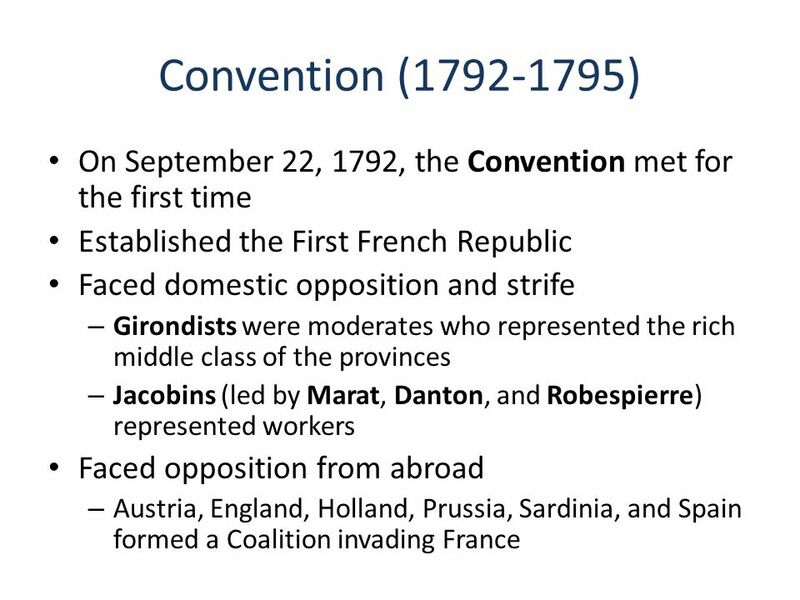 Chapter 25 Section 1 The Cold War BeginsThe French Revolution Unfolds Section 2 Explain how the political crisis of 1789 led to popular revolts. Summarize. TEKS 8C: Calculate percent composition and empirical and molecular formulas. 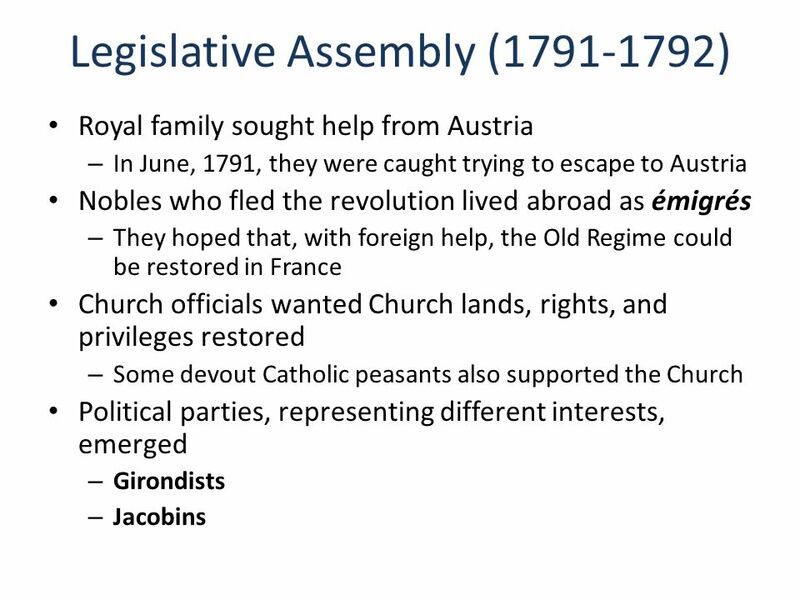 Early Stages of the French Revolution. 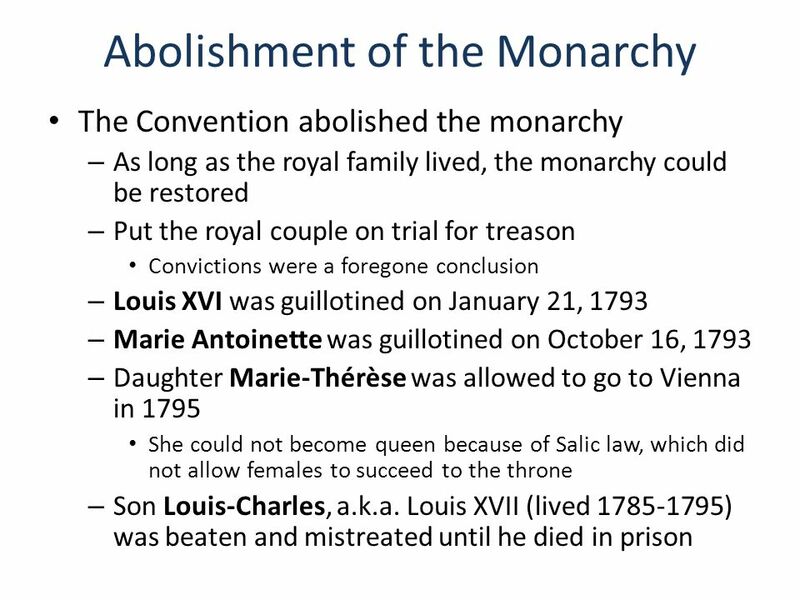 PHASE TWO: Path to Constitutional Monarchy…and Beyond! 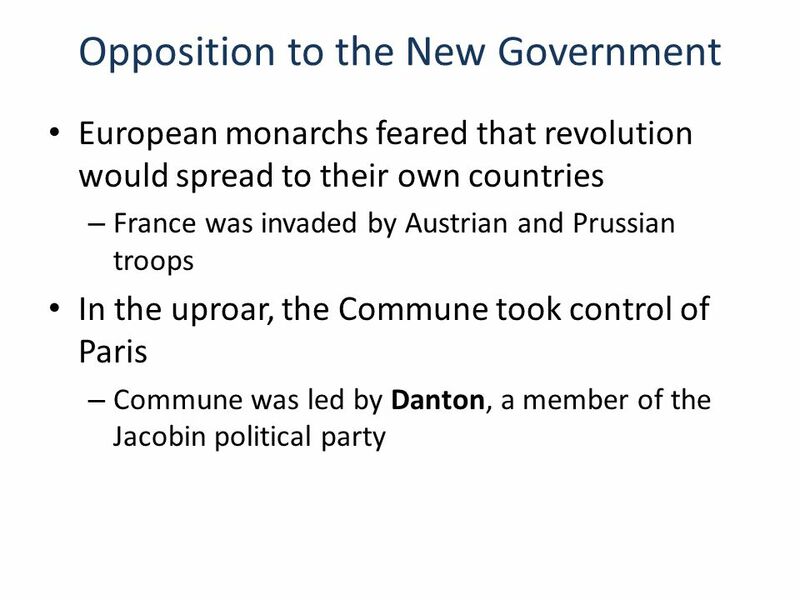 The French Revolution. Liberty, Equality, Fraternity! 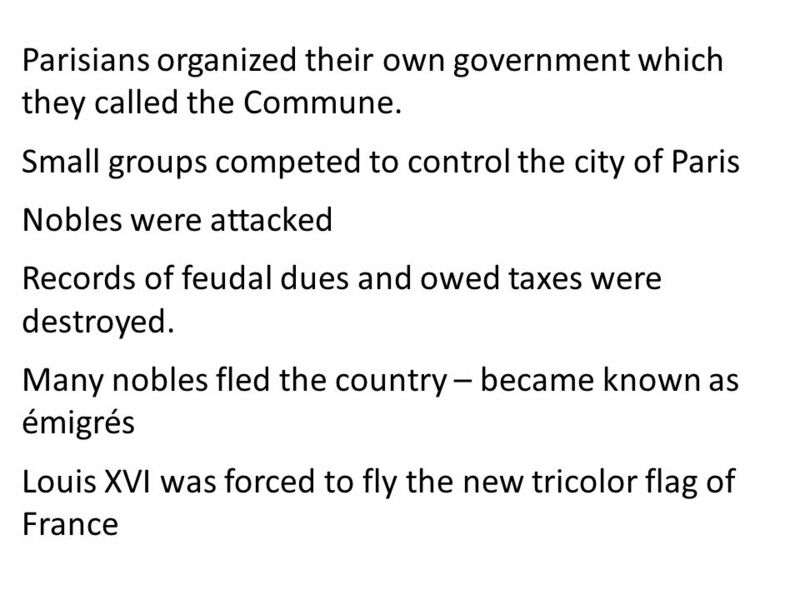 The French Revolution Brings Change and Blood. 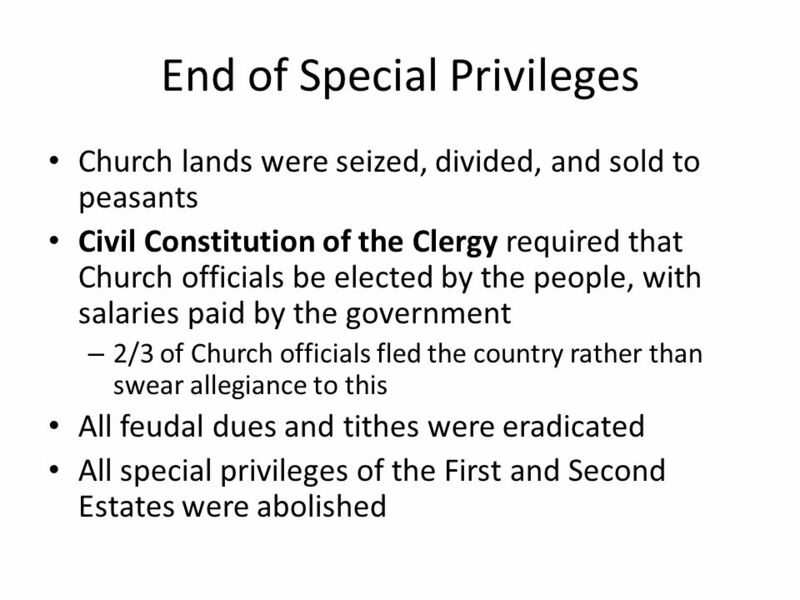 The French Revolution Chapter 7 sec. 1 & 2. 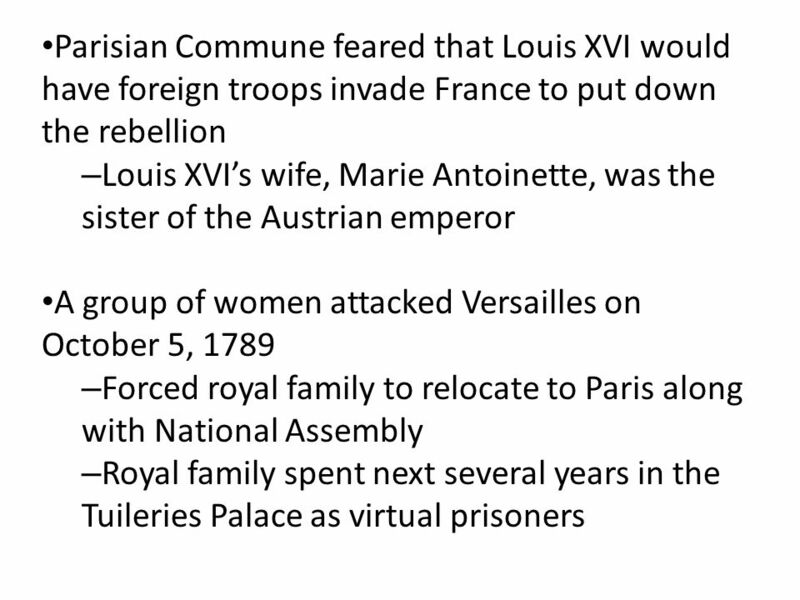 The French Revolution Part II © Student Handouts, Inc.
Journal Write What is a revolution? What conditions in a society often lead to revolution? Chapter 12.  Louis XVI and his wife, Marie Antoinette, lived in Versailles Palace in France  People thought Marie Antoinette spent money too freely. 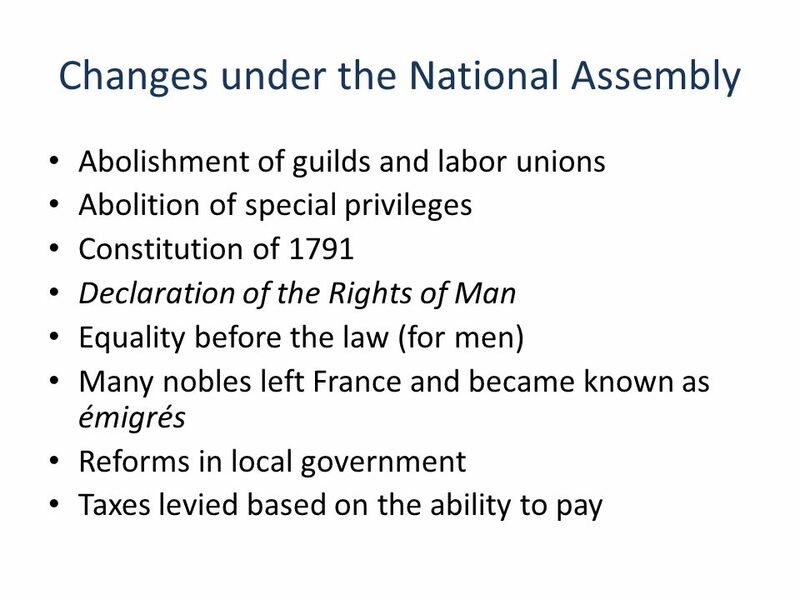 The French Revolution Chapter Liberty, Equality, Fraternity.